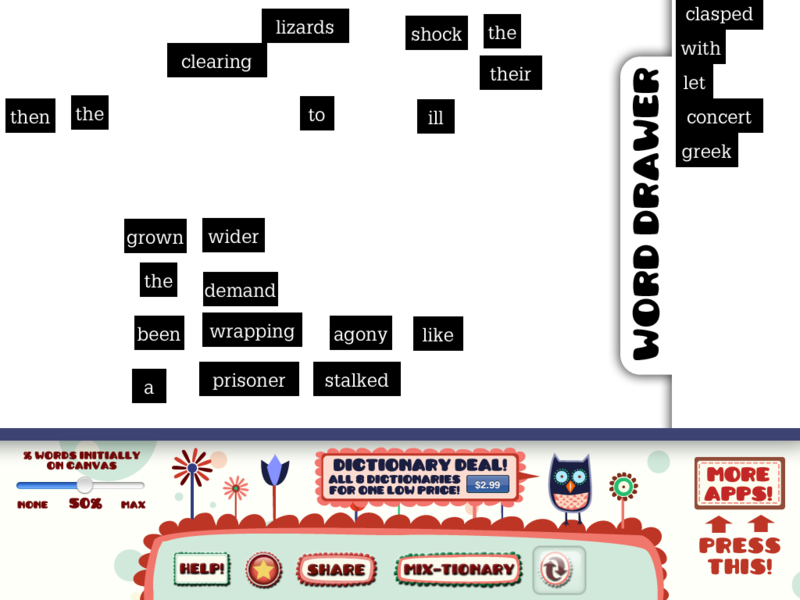 The good folks at Mashable has put together a gallery of great poetry apps, from reading poetry to creating it. 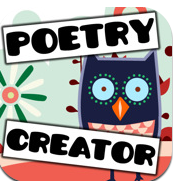 Check it out and add some poetry to your life! A little voice told me that the Grade 7s are starting a poetry unit in English class. Okay a big adult voice who needed books on poetry as well as a tiny voice smitten with the Roald Dahl poem about a man-eating crocodiles told me. Here it is, just to brighten your idea. But don’t get any ideas. I know November is hard, but any crocodile-related action against the students would be viewed quite harshly by the administration. That’s all for now. It’s time for bed. Lie down and rest your sleepy head. Galumphing softly up the stair? Go on child, hurry! Quickly run! No stop! Stand back! He’s coming in! But I digress. 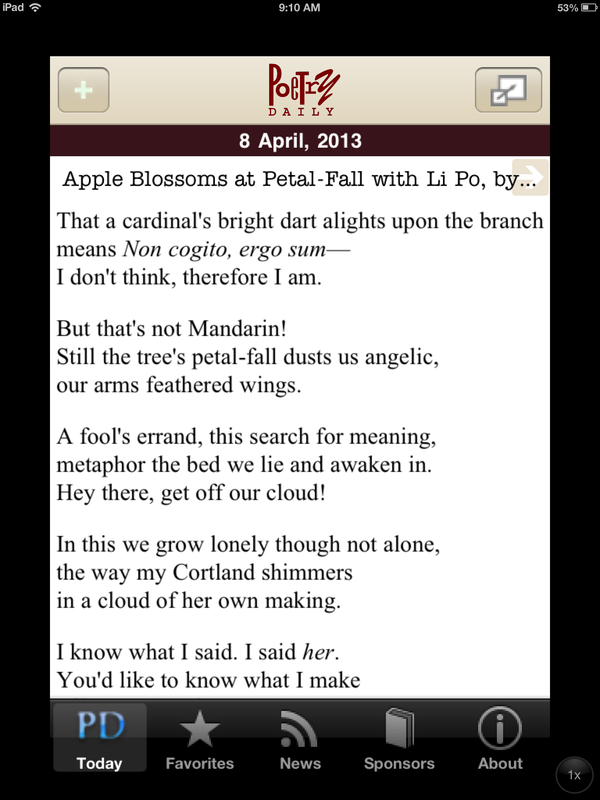 I thought it would be cool to see what juicy literary morsels the iPad had to offer. Of course, I ignored all paying apps and went only to the FREE Apps. Of which exactly two were relevant. The first is an excellent collection (given copyright constraints) put together by Poetry magazine. 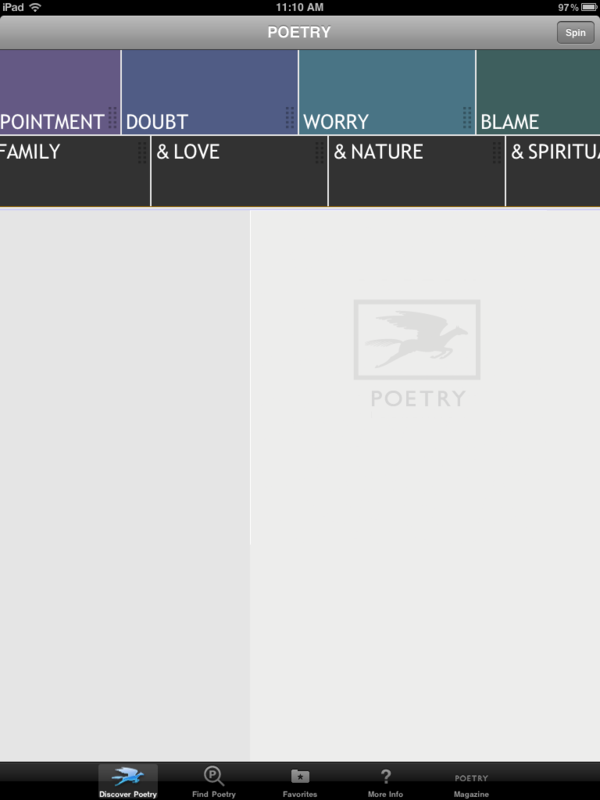 You can also star poems in your favorites as well as email or share it on Facebook or Twitter. A very good introduction to poetry. 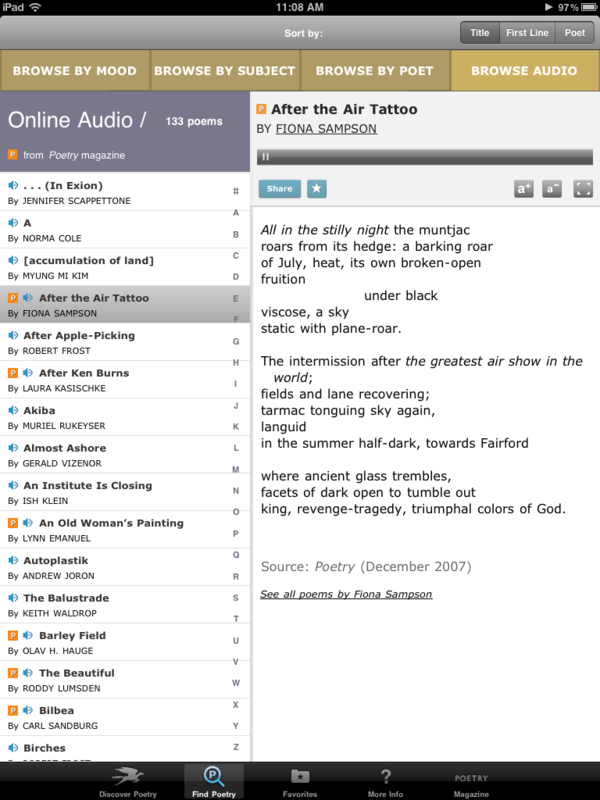 This is an online version of the poetry magnetic sets. It took me a while to figure out, but once I did it was as addictive as those fridge sets. Here is a screenshot with the default settings. Although the interface is not the most intuitive, you can decide how many words you want to play with. 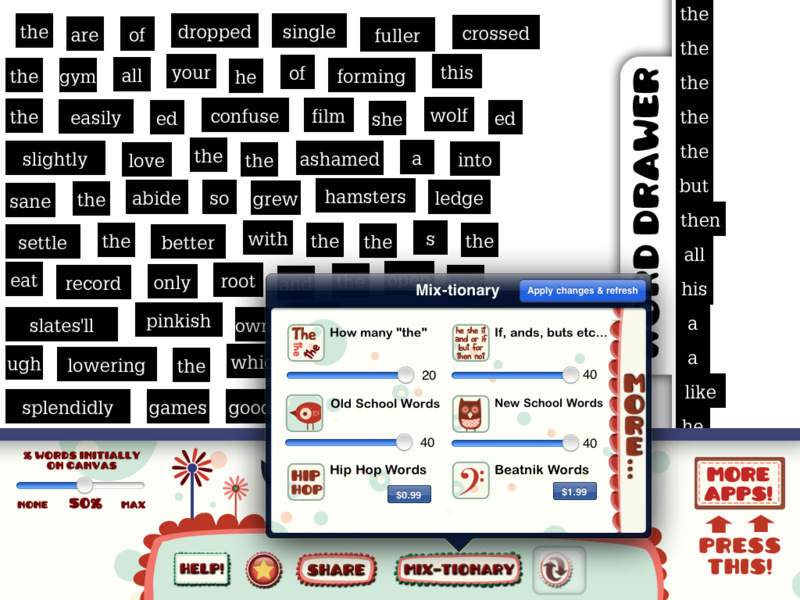 Just open the mix-tionary and choose how many Thes, Ifs, Ands, Buts, as well as old school and new school words. What is an old and new school word? I don’t know and they don’t elaborate. Umm, don’t slide the options to max- you won’t have any place to actually make a poem. You can also upload it to facebook, save to your photo album or email your poem! 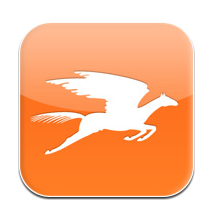 They will also be coming soon to the iPad lab near you! Thanks Beth!